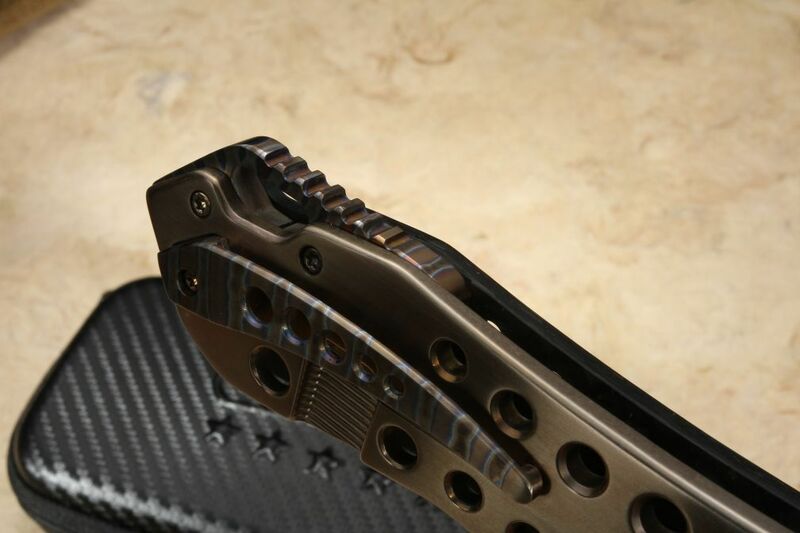 We went to Ian and Darrel Ralph and challenged them to make their popular MoabXL model with a weight reducing aerospace grade carbon fiber handle scale, and they met the challenge with this very limited edition flipper. 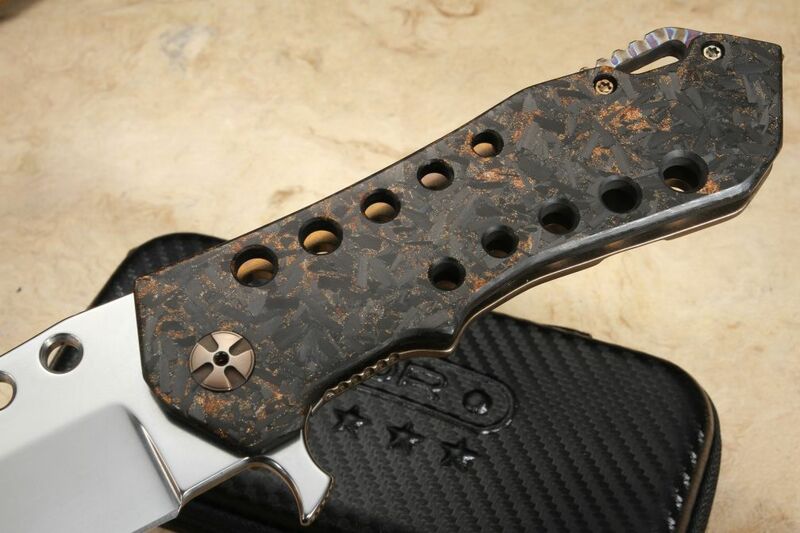 This DDR Moab XL folder has a Wharncliffe blade that flips out extremely fast due to the bearing pivot system and precision manufacturing. 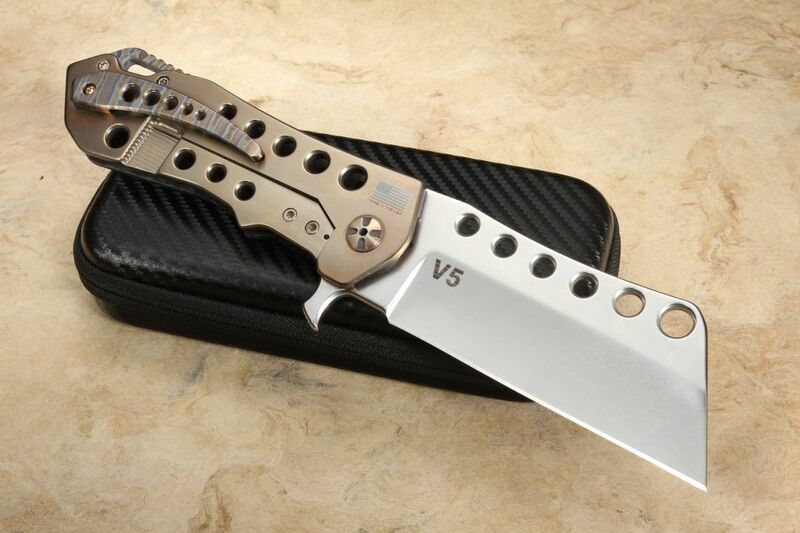 The holes in the blade match with the holes in the handle, reducing weight even further and providing a tank of a knife that only weighs in at 9.9 oz. 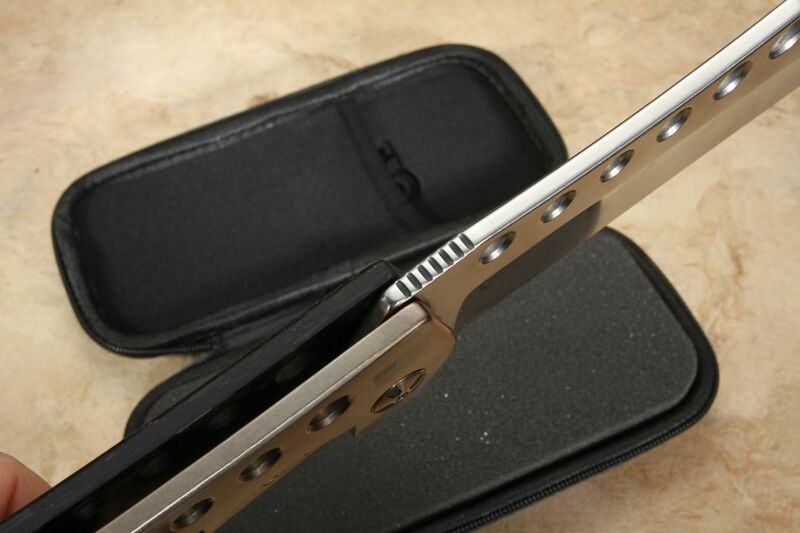 The blade spine has ample jimping for a positive grip in hand and the flipper extension provides a secure index finger guard. 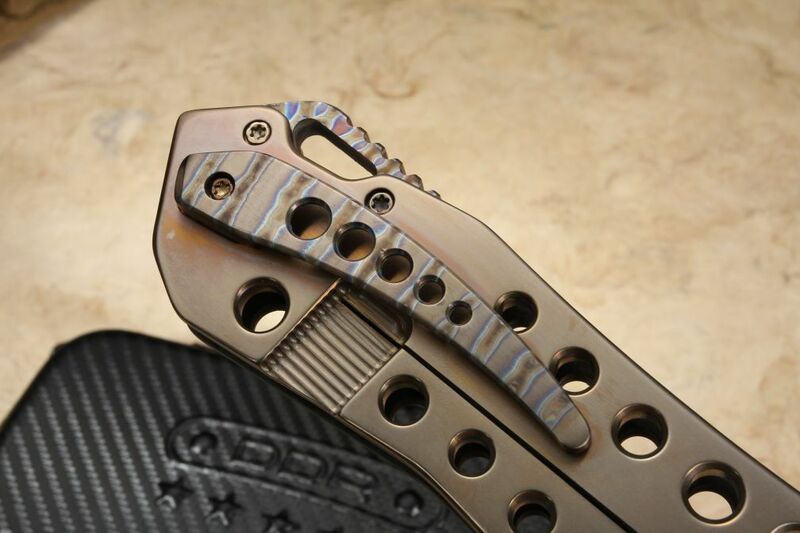 The handle build is outstanding on this Moab XL flipper, featuring copper infused marble carbon fiber, drilled holes and the satin finish, bronze anodized titanium on the lockside. 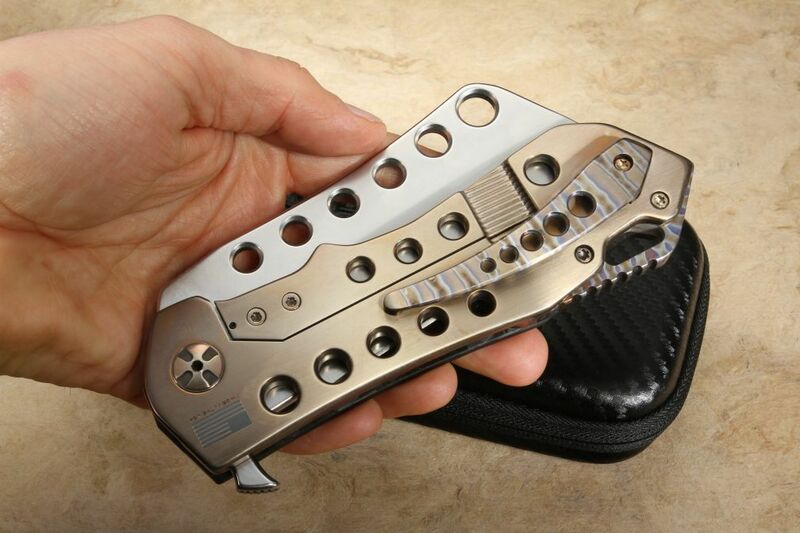 The knife carries tight in your pocket thanks to the fully machined and heat flamed titanium pocket clip. 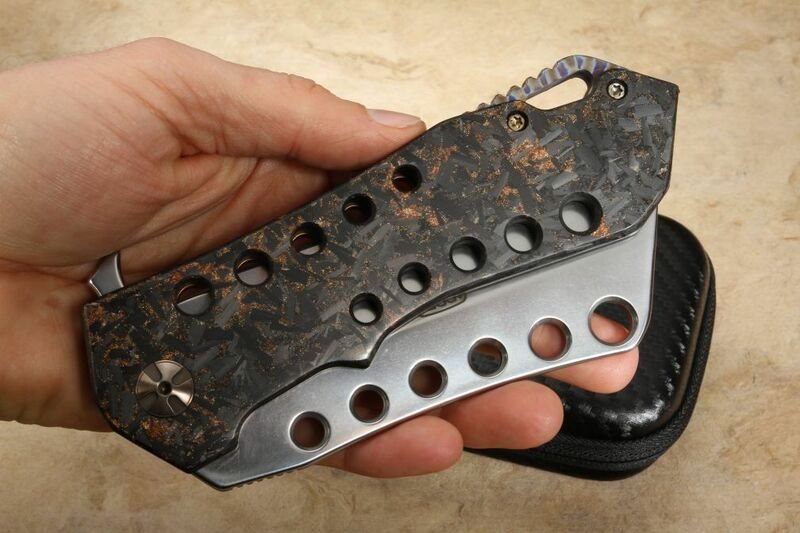 The knife has a custom-made heat flamed titanium spacer with jimping for a positive grip and an integral lanyard hole. 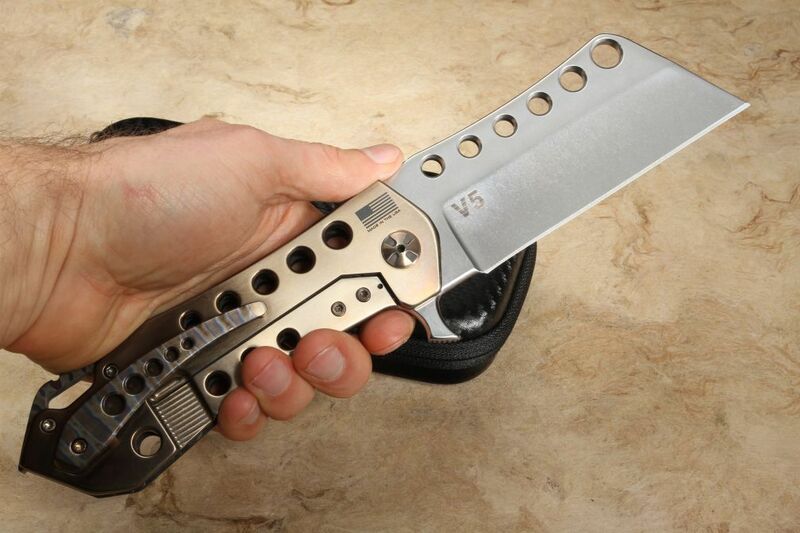 Knife entirely made in the USA with pride and precision. Rock solid integral frame lock design. Frame lock has a hardened steel lock bar insert for lock interface longevity and locking security. 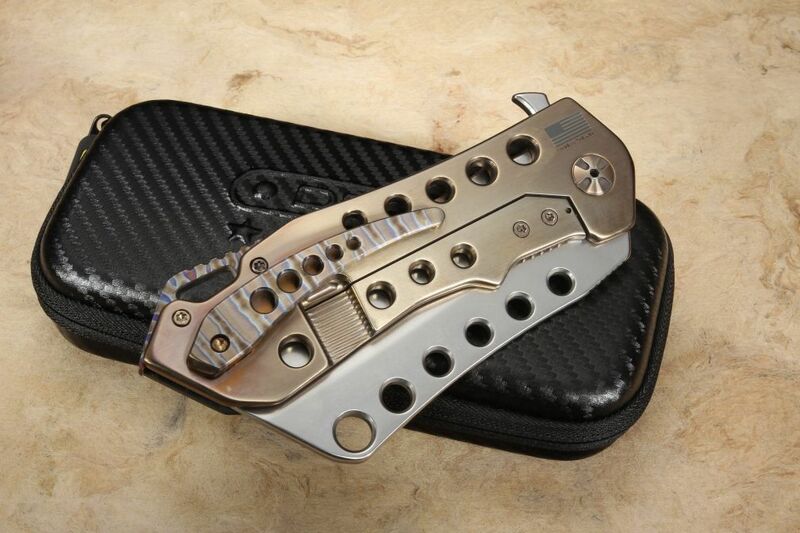 Bronze anodized pivot and screws. 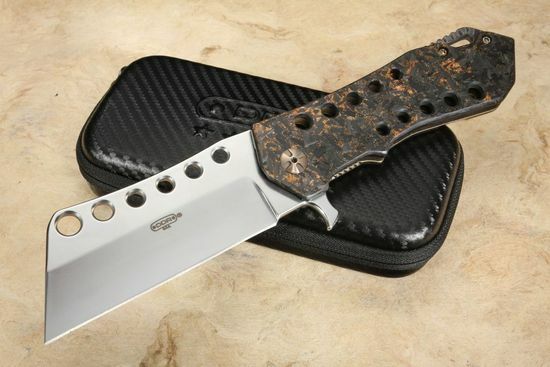 Machined holes in the blade and both sides of the handle dress the knife up while also reducing weight and providing a positive grip. 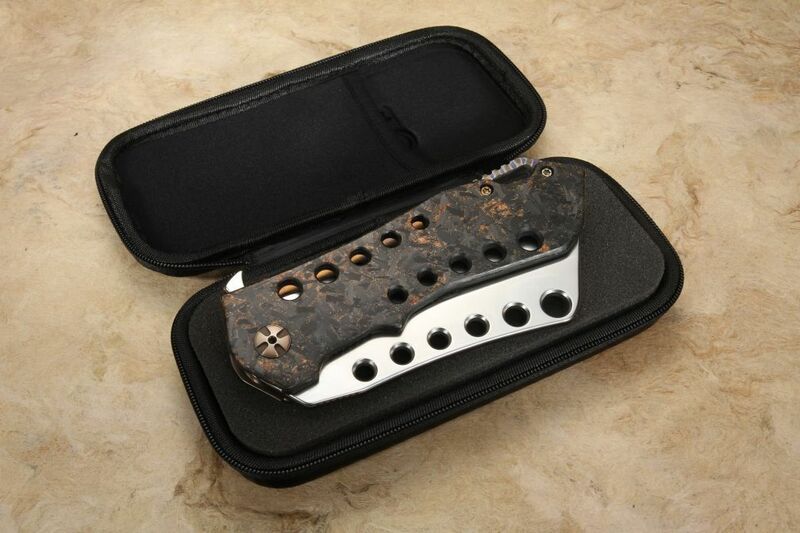 This KnifeArt.com exclusive MOAB XL flipper comes with an attractive carbon fiber style zipper case for storage and transportation, this case is a very nice touch.